Order Your Official MHC Team Kit Now! Time to order new kits! 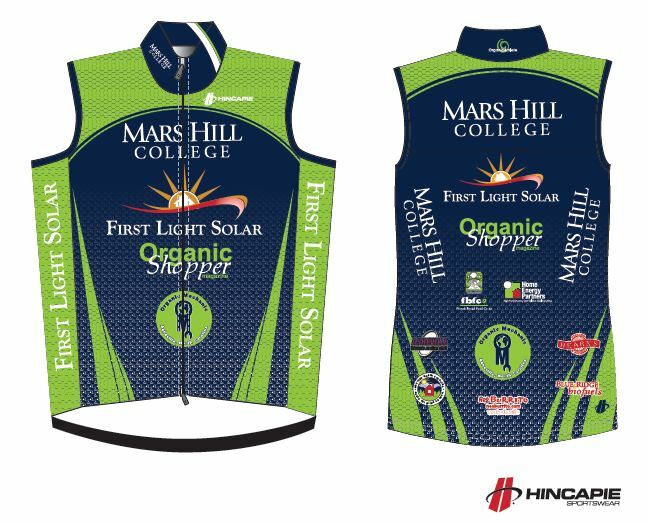 If you want an official MHC jersey, bib shorts, vest, or long sleeve skinsuit, send in your order by December 17th. The new 2011 version will keep the same awesome design as below. Estimated delivery date is March. Pricing: Jerseys, $80. Bibs, $80. Vests, $80. 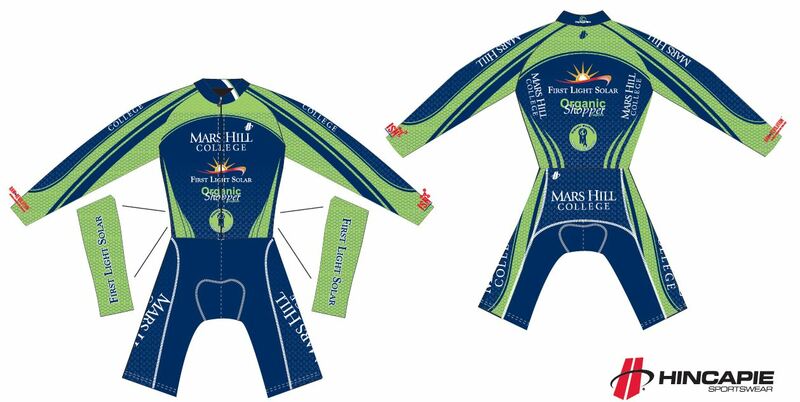 Long sleeve skinsuits, $150. 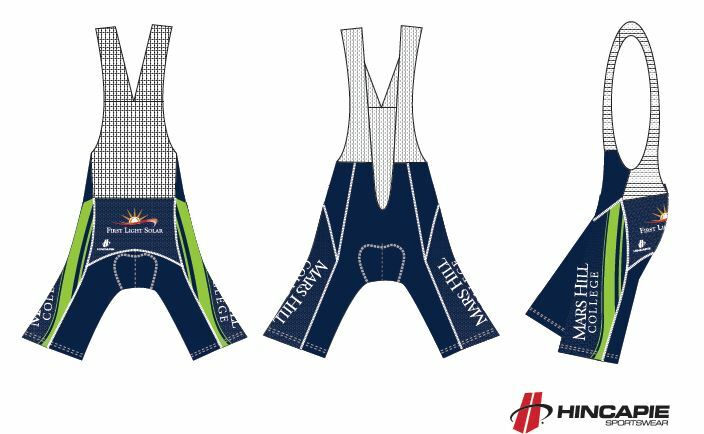 Sizing: find info HERE at Hincapie Sports. All items are the RACE CUT. 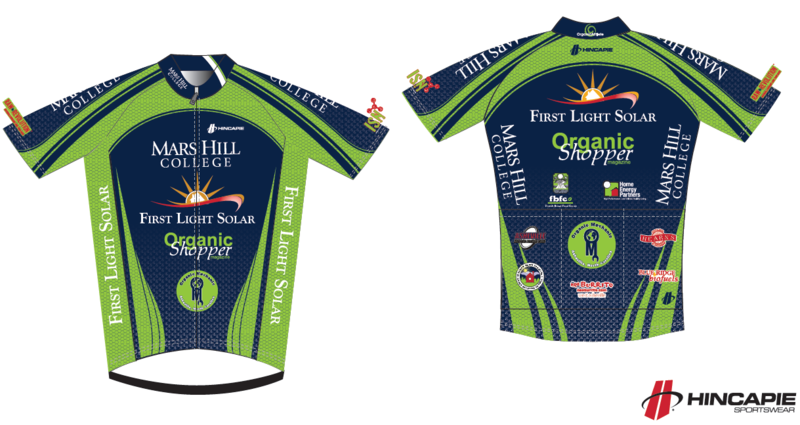 Make checks payable to Mars Hill College Cycling. Comments : Comments Off on Order Your Official MHC Team Kit Now! Kyle Knott leads Tim Jenkinson through the wooded singletrack. Photo courtesy of Paul Christopher. 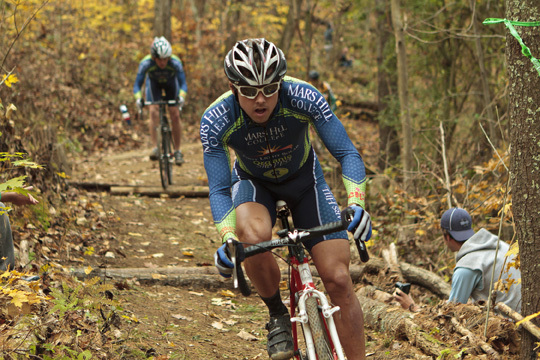 Last weekend, Mars Hill College hosted two days of collegiate racing: the first piggy-backed with a Mud, Sweat, and Gears event in Bristol, TN; the second on the MHC campus on Sunday. Both days witnessed competitive racing in the collegiate categories as well as the various other USAC categories. On Saturday, the collegiate women started things off, with Erica Zaveta (Lees-McRae) winning over Mars Hill’s Klara Rossouw and Stephanie Bunnett, who placed 2nd and 3rd. Yolanda Colon finished in 6th. The men’s event was packed with Lees-McRae riders but also included riders from King College, Milligan College, East Tennessee State University, and of course Mars Hill. From the gun, a group of five escaped on the technical course and built a strong lead, including three riders from Lees-McRae and two from Mars Hill, Paul Webb and Kyle Knott. Tim Jenkinson broke a chain during the first lap and had to abandon. The top three were Eric Thompson (LMC), Brad Perley (LMC), and Paul Webb (MHC). Kyle Knott finished in 6th. Later in the men’s category 3 race, Tim Jenkinson sought redemption from his early mechanical and won. On Sunday, the venue moved to the Mars Hill College campus, and the course included technical grass turns, a long uphill that included a run-up and wooded singletrack, and a fast swooping descent that included a couple of launch pads. While the course was very challenging, it also afforded lots of fun bike-driving opportunities that helped to ease the pain. In the women’s collegiate event, which boasted the largest women’s field of the season, Erica Zaveta (LMC) repeated her win from the day before. Cinthia Lehner (LMC) was 2nd, and Elisa Otter (Warren Wilson) was 3rd . Mars Hill’s Rossouw, Bunnett, and Colon finished 4th, 5th, and 7th. 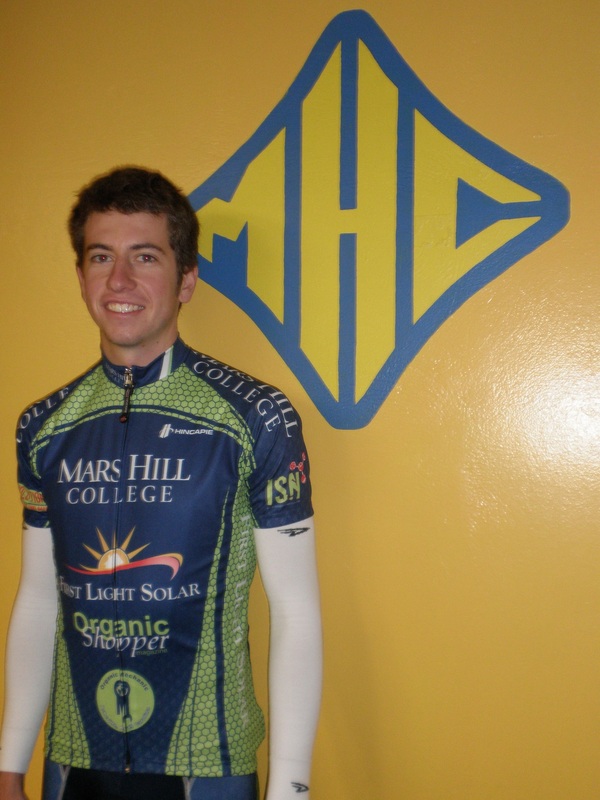 In the men’s collegiate event, Brad Perley (LMC) won, followed by Joseph Webb (LMC) and Eric Thompson (LMC). Mars Hill’s Kyle Knott was 4th, Paul Webb was 6th, and Tim Jenkinson was 7th. Despite the increased competition from powerhouse Lees-McRae, Mars Hill still leads the overall team classification, as well as the men’s and women’s overall individual rankings. But the point gaps are narrowing, which should make for an exciting finale at conference championships at East Tennessee State University in three weeks. Next race for the team is this weekend at the NCCX UCI races in Hendersonville, which will be great preparation for cyclocross conference finals at ETSU on Dec 4-5 and the Collegiate National Cyclocross Championships in Bend, Oregon, on Dec 12. For a bunch of photos from Sunday, check out the pics taken by Paul Christopher and Mike Thornhill. Thanks, guys, for capturing the pain and the fun. Full results and points can be found at the Southeastern Conference website HERE.